Please contact us on info@thesquaregiftstore.co.nz if you have any problems or queries. We will endeavour to respond to you within 48 hours (Mon-Fri) and help solve any problems you may have. Whilst we make every attempt to maintain accuracy of all information on our website we regret that sometimes errors are made. We reserve the right to amend any errors or omissions and to contact you prior to finalising your purchase. If you feel that we have misrepresented an item please contact us on info@thesquaregiftstore.co.nz to enable us to sort it out. Total lay-by term is 3 months. All payments must be made by this date or The Square Gift Store Ltd reserves the right to put the item back out for sale and you will be issued a refund. We send out items via local couriers and pricing is based on your location. This is based on items that fit into a shoebox and weigh under 2 kgs. This is nation wide. For larger or heavier items or delicate items or items to be sent overseas we would need to work out a price for you. The Square Gift Store Ltd will make every reasonable effort to replace or credit the item in a timely manner. We will cover shipping charges if there was damage to the item due to shipping. You can expect a refund in the same form of payment originally used for purchase within 30 days of our receiving your returned product. We want you to be fully satisfied with every item that you purchase. Instore purchase: If you purchased an item in store we do not refund but are able to accept the item back for exchange and any difference can be loaded to a gift card for you to use at a later date. Online purchase: If you wish to return an item bought online, it is essential that you email us on info@thesquaregiftstore.co.nz for a returns authorisation. Goods returned without this authorisation code are unable to be refunded. When you receive your code please return the item/s with a copy of the receipt that was included with the goods. You can return the item/s by either heading into store, or by sending them back to us within 30 days of delivery for a full refund of the purchase price, minus the shipping or other charges. The item must be returned in as new condition, in original boxes (whenever possible), and with the original packing slip/invoice to ensure full credit. Please note that CDs, DVDs and sale items cannot be returned. All transactions will be charged in New Zealand dollars. Here is a currency converter to convert NZ$ into your currency. This guide will give you an approximate value. 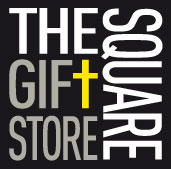 Is The Square Gift Store owned by New Zealanders? Copyright © 2019 The Square Gift Store Ltd.